The art installation is an air-filled balloon replica of the moon that measures seven metres in diameter with lunar imagery taken by NASA. Luke came up with the idea of Museum of the Moon when he saw the rise of high tides and thought of the control of the moon. BENGALURU: “The beauty of the moon lies in how it engulfs various cultures and history across the globe; how there are different beliefs and myths attached to it and yet it so similarly exists for everyone,” said Luke Jerram; a multidisciplinary installation artist from UK, who is ready to take the citizens on a celestial journey through his artwork - Museum of the Moon. Having travelled across the globe through various nations with over 160 exhibitions and art festivals since 2016; the artwork marks its debut in India on Wednesday at Bengaluru’s National Gallery of Modern Art. The Museum of the Moon, inaugurating on the day of a rare lunar phenomenon of Super Blue Blood Moon will give the city people a chance to witness the moon floating over water. Luke creates sculptures, installations and live projects that engage people in the experience of the art allowing them to be more than mere spectators. He believes that artists should play by their own rules and must have stamina of dissatisfaction along with hard work to create improvised works constantly. “Art should be for everybody, I’m a true believer of that and so I place most of my art works on the street. Any artwork reflects what its people bring to it,” he said. When questioned about the idea of touring Museum of the Moon, he explained,” I create the artwork and then it finds its own place; however with Museum of the Moon, it’s been on demand everywhere which I believe is due to the fascination that people hold for the moon and its association that can be found in every culture. 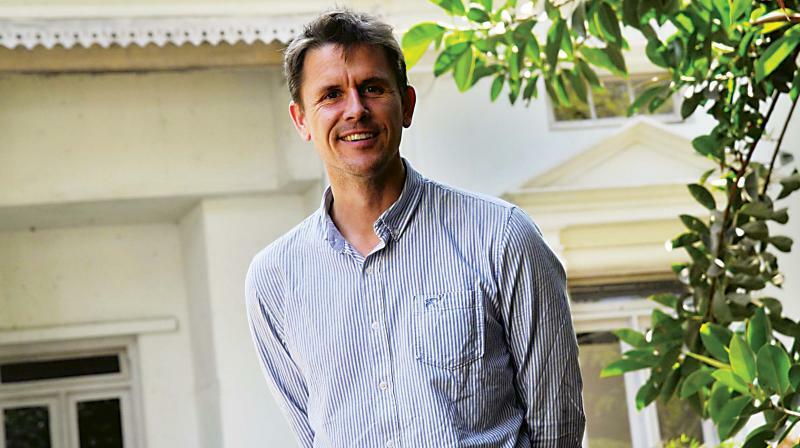 I am really looking forward to see how its interpretation in India will enrich it further since this country is so diverse and so creative.” Luke has been overwhelmed by the bright colours of the country compared to a generally grey England. As the Super Blue Blood Moon rises in the sky for a rare visual treat; the Museum of the Moon will further garnish the experience for the city people to gaze at this unusual magical sight.